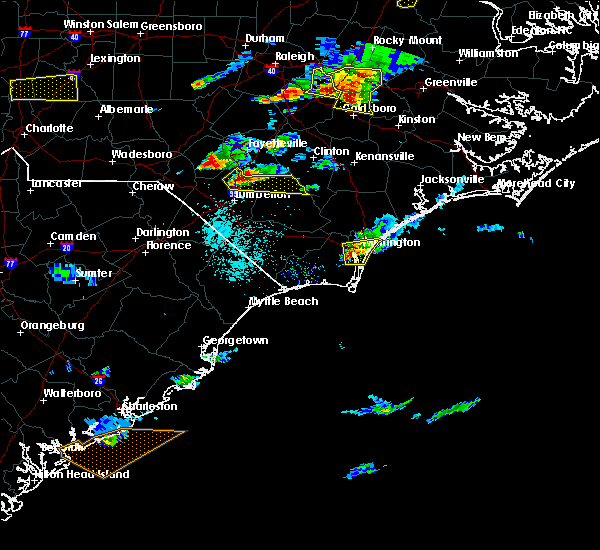 The Wrightsboro, NC area has had 0 reports of on-the-ground hail by trained spotters, and has been under severe weather warnings 19 times during the past 12 months. 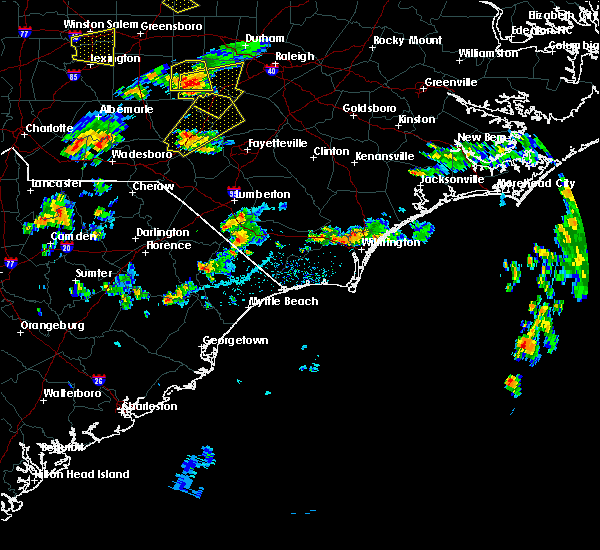 Doppler radar has detected hail at or near Wrightsboro, NC on 34 occasions, including 5 occasions during the past year. 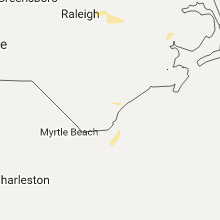 4/19/2019 6:08 PM EDT At 608 pm edt, severe thunderstorms were located along a line extending from near kenansville to 16 miles southeast of topsail beach, moving northeast at 55 mph (radar indicated). Hazards include 60 mph wind gusts. Expect wind damage to trees and power lines. 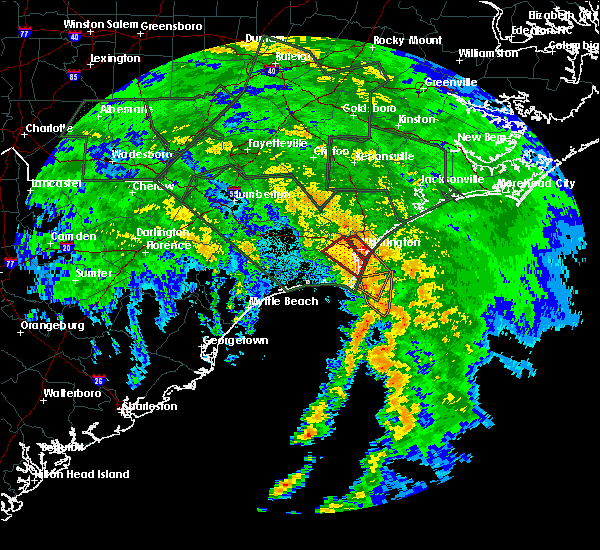 Locations impacted include, wilmington, leland, oak island, carolina beach, burgaw, wrightsville beach, kure beach, surf city, caswell beach, bald head island, snows cut, rich inlet, south masonboro island, figure eight island, yaupon beach, north masonboro island, hampstead, boiling spring lakes, southport and topsail beach. 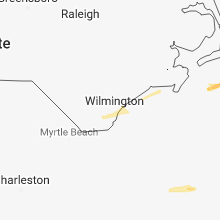 4/19/2019 5:49 PM EDT At 549 pm edt, severe thunderstorms were located along a line extending from near rose hill to 10 miles southeast of north masonboro island, moving northeast at 55 mph (radar indicated). Hazards include 60 mph wind gusts. Expect wind damage to trees and power lines. 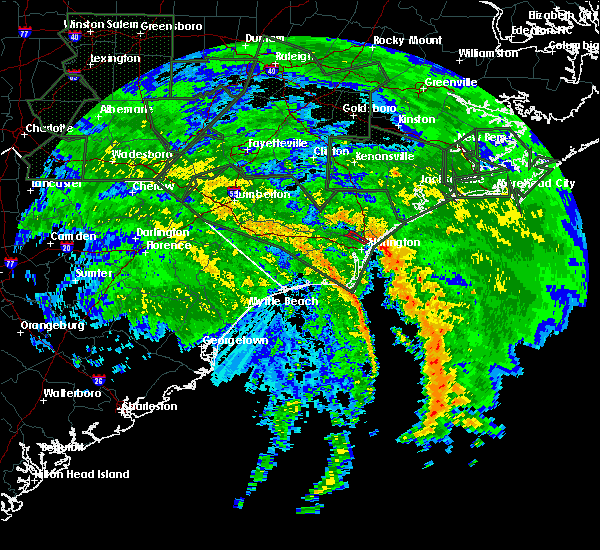 Locations impacted include, wilmington, leland, oak island, carolina beach, burgaw, wrightsville beach, kure beach, surf city, caswell beach, bald head island, snows cut, rich inlet, south masonboro island, figure eight island, yaupon beach, north masonboro island, hampstead, boiling spring lakes, southport and topsail beach. 9/16/2018 2:08 AM EDT The tornado warning for northwestern new hanover and east central brunswick counties will expire at 215 am edt, the storm which prompted the warning has weakened below severe limits, and no longer appears capable of producing a tornado. therefore, the warning will be allowed to expire. however gusty winds and heavy rain are still possible with this thunderstorm. 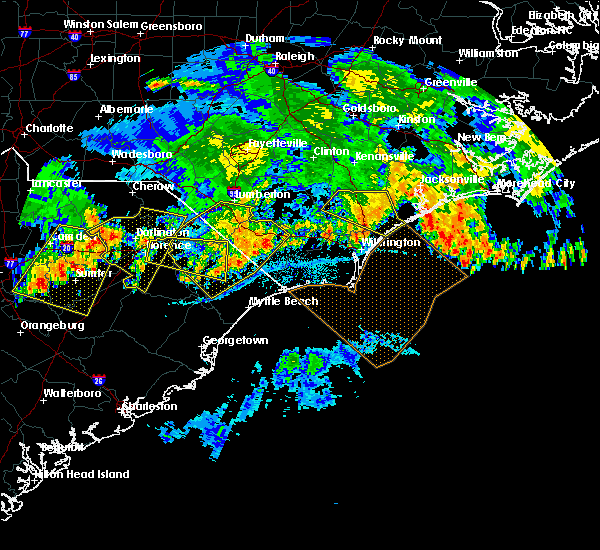 a tornado watch remains in effect until 700 am edt for southeastern north carolina. 9/16/2018 2:02 AM EDT At 202 am edt, a severe thunderstorm capable of producing a tornado was located near hightsville, or near wilmington, moving northwest at 35 mph (radar indicated rotation). Hazards include tornado. Flying debris will be dangerous to those caught without shelter. mobile homes will be damaged or destroyed. damage to roofs, windows, and vehicles will occur. tree damage is likely. locations impacted include, wilmington, leland, hightsville, wrightsboro, belville, navassa and new hanover regional medical center. this includes the following highways, interstate 140 us route 74 between mile markers 430 and 434. Us route 17 in brunswick county between mile markers 43 and 44. 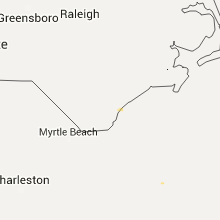 9/16/2018 1:51 AM EDT At 151 am edt, a severe thunderstorm capable of producing a tornado was located over myrtle grove, or over south masonboro island, moving northwest at 30 mph (radar indicated rotation). Hazards include tornado. Flying debris will be dangerous to those caught without shelter. mobile homes will be damaged or destroyed. damage to roofs, windows, and vehicles will occur. Tree damage is likely. 9/16/2018 12:06 AM EDT At 1206 am edt, a severe thunderstorm capable of producing a tornado was located over murrayville, or near wilmington, moving northwest at 35 mph (radar indicated rotation). Hazards include tornado. Flying debris will be dangerous to those caught without shelter. mobile homes will be damaged or destroyed. damage to roofs, windows, and vehicles will occur. tree damage is likely. locations impacted include, murrayville, cape fear community college north campus, castle hayne, kings grant and ogden. this includes the following highways, interstate 40 between mile markers 414 and 416. Interstate 140. 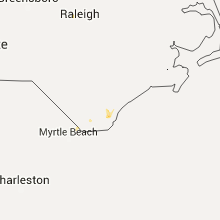 9/15/2018 11:53 PM EDT At 1152 pm edt, a severe thunderstorm capable of producing a tornado was located over wrightsville beach, moving northwest at 35 mph (radar indicated rotation). Hazards include tornado. Flying debris will be dangerous to those caught without shelter. mobile homes will be damaged or destroyed. damage to roofs, windows, and vehicles will occur. Tree damage is likely. 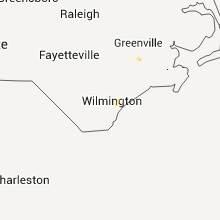 9/15/2018 7:25 PM EDT At 724 pm edt, a severe thunderstorm capable of producing a tornado was located over castle hayne, or 9 miles north of wilmington, moving northwest at 45 mph (radar indicated rotation). Hazards include tornado. Flying debris will be dangerous to those caught without shelter. mobile homes will be damaged or destroyed. damage to roofs, windows, and vehicles will occur. tree damage is likely. locations impacted include, wilmington, wrightsville beach, rich inlet, figure eight island, mayfaire, long creek, cape fear community college north campus, ashton, rocky point, murrayville, castle hayne, bayshore, scotts hill, ogden, porters neck, landfall, kings grant, wrightsboro and st. helena. this includes the following highways, interstate 40 between mile markers 402 and 416. Interstate 140. 7/23/2018 12:57 AM EDT The national weather service in wilmington has issued a * severe thunderstorm warning for. new hanover county in southeastern north carolina. 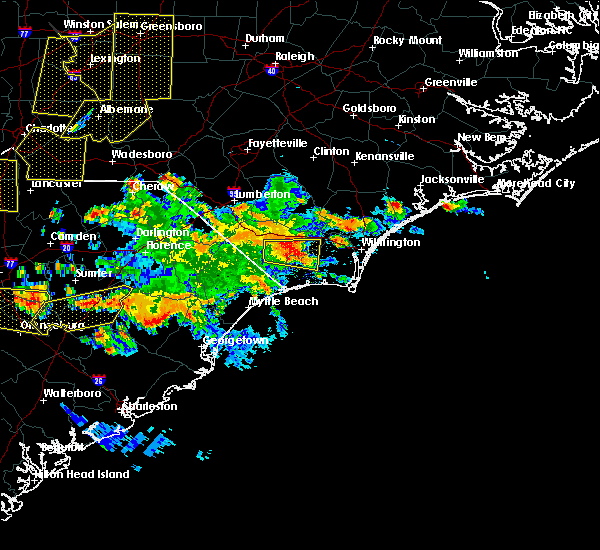 pender county in southeastern north carolina. until 200 am edt. 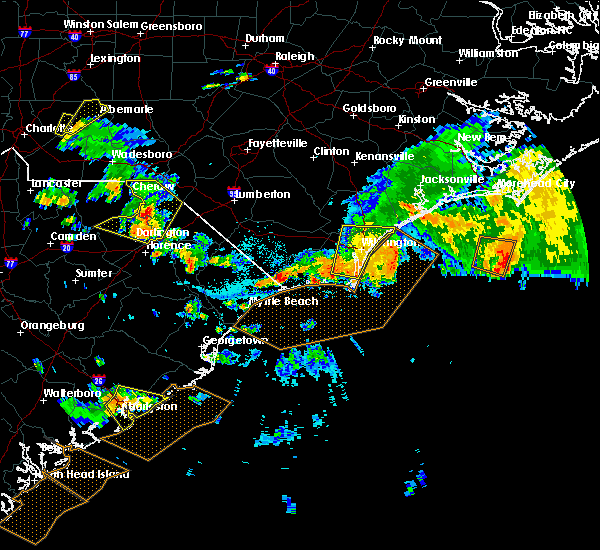 At 1257 am edt, a severe thunderstorm was located over wilmington,. 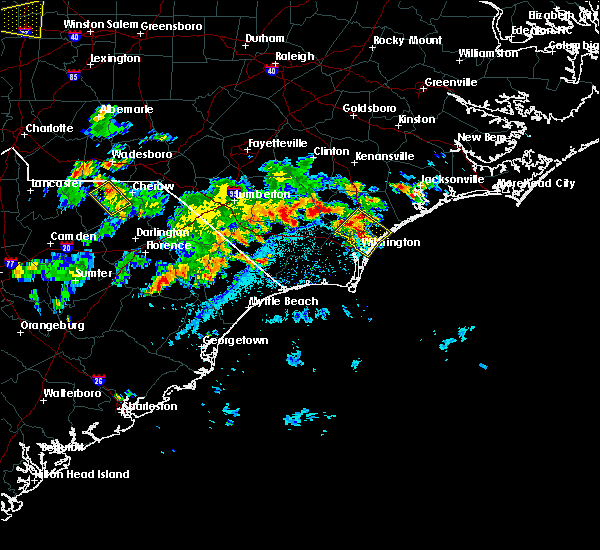 7/12/2018 4:39 PM EDT The severe thunderstorm warning for northwestern new hanover county will expire at 445 pm edt, the severe thunderstorm which prompted the warning has weakened, and the warning will be allowed to expire. 7/12/2018 4:21 PM EDT At 423 pm edt, a severe thunderstorm was located over wilmington, moving southwest at 10 mph (public has reported dime to quarter size hail). Hazards include 60 mph wind gusts and quarter size hail. Minor hail damage to vehicles is possible. expect wind damage to trees and power lines. locations impacted include, wilmington, mayfaire, hightsville, wrightsboro, wilmington international airport, murrayville, windemere, kings grant, cape fear community college north campus, masonboro, seagate, silver lake, ogden, new hanover regional medical center and cape fear hospital. This includes interstate 140. 7/12/2018 3:55 PM EDT At 355 pm edt, a severe thunderstorm was located over kings grant, or near wilmington, moving southwest at 10 mph (radar indicated). Hazards include 60 mph wind gusts and quarter size hail. Minor hail damage to vehicles is possible. Expect wind damage to trees and power lines. 6/25/2018 7:23 PM EDT At 722 pm edt, a severe thunderstorm was located near long creek, or 9 miles north of leland, moving south at 15 mph (radar indicated). Hazards include 60 mph wind gusts and quarter size hail. Minor hail damage to vehicles is possible. Expect wind damage to trees and power lines. 6/15/2018 3:35 PM EDT At 335 pm edt, a severe thunderstorm was located over bishop, or near leland, moving east at 15 mph (radar indicated). Hazards include 60 mph wind gusts and quarter size hail. Minor hail damage to vehicles is possible. Expect wind damage to trees and power lines. 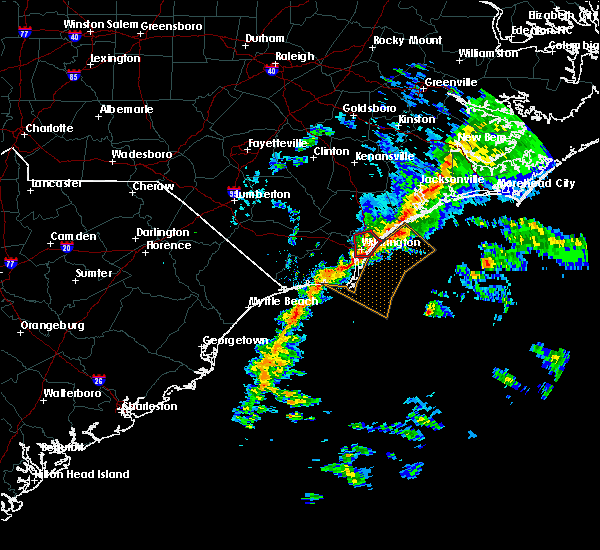 6/14/2018 2:55 PM EDT At 253 pm edt, a line of severe thunderstorms was located along a line extending from topsail to near honey island to allsbrook, moving southeast at 15 mph. the strongest storms were near leland and east of castle hayne (radar indicated). Hazards include 60 mph wind gusts and quarter size hail. Minor hail damage to vehicles is possible. Expect wind damage to trees and power lines. 12/12/2016 10:55 AM EST At 1051 am est, a severe thunderstorm capable of producing a tornado was located over figure eight island, moving east at 25 mph. 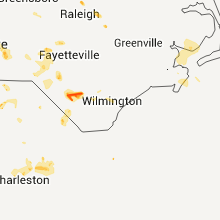 radar indicates another tornado may be developing one mile south of wilmington and this thunderstorm was moving east at 25 mph (radar indicated rotation). Hazards include tornado. Flying debris will be dangerous to those caught without shelter. mobile homes will be damaged or destroyed. damage to roofs, windows, and vehicles will occur. tree damage is likely. 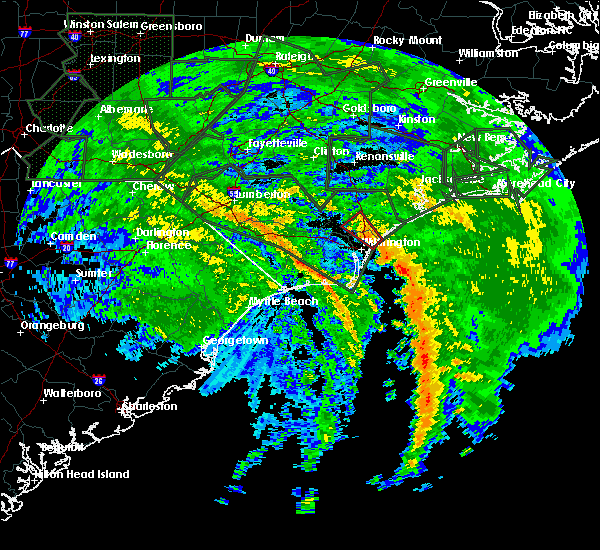 locations impacted include, wilmington, wrightsville beach, north masonboro island, figure eight island, mayfaire, hightsville, cape fear community college north campus, wrightsboro, wilmington international airport, murrayville, masonboro, windemere, bayshore, ogden, porters neck, landfall, kings grant, seagate, castle hayne and silver lake. this includes the following highways, interstate 40 between mile markers 414 and 416. Interstate 140. 12/12/2016 10:40 AM EST At 1039 am est, a severe thunderstorm capable of producing a tornado was located over kings grant, or near wilmington, moving east at 25 mph (radar indicated rotation). Hazards include tornado. Flying debris will be dangerous to those caught without shelter. mobile homes will be damaged or destroyed. damage to roofs, windows, and vehicles will occur. tree damage is likely. this dangerous storm will be near, ogden and landfall around 1045 am est. 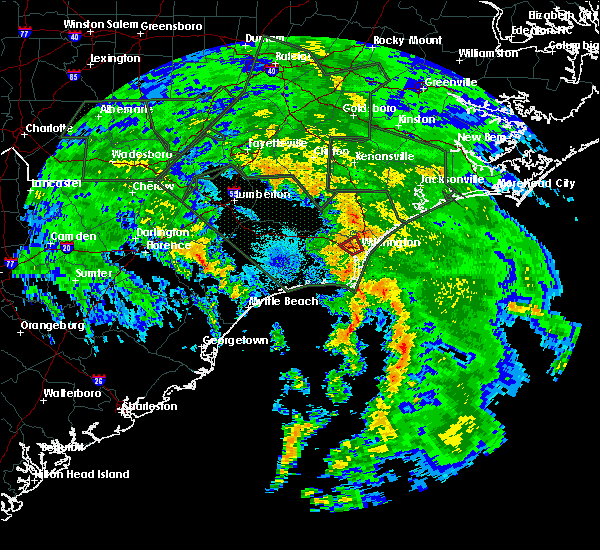 wrightsville beach, bayshore and porters neck around 1050 am est. 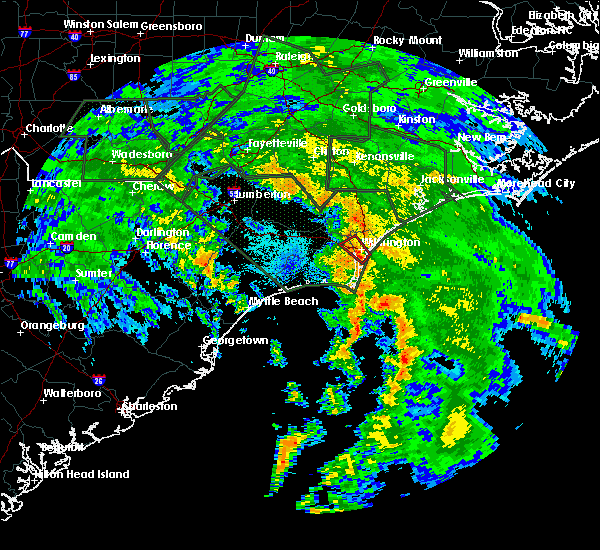 figure eight island around 1055 am est. other locations impacted by this tornadic thunderstorm include new hanover regional medical center and cape fear hospital. this includes the following highways, interstate 40 between mile markers 414 and 416. Interstate 140. 10/8/2016 6:41 AM EDT At 641 am edt, a severe thunderstorm capable of producing a tornado was located over silver lake, or near north masonboro island, moving northwest at 45 mph (radar indicated rotation). Hazards include tornado...quarter size hail...and 60 mph wind gusts. Expect damage to mobile homes. roofs. and vehicles. 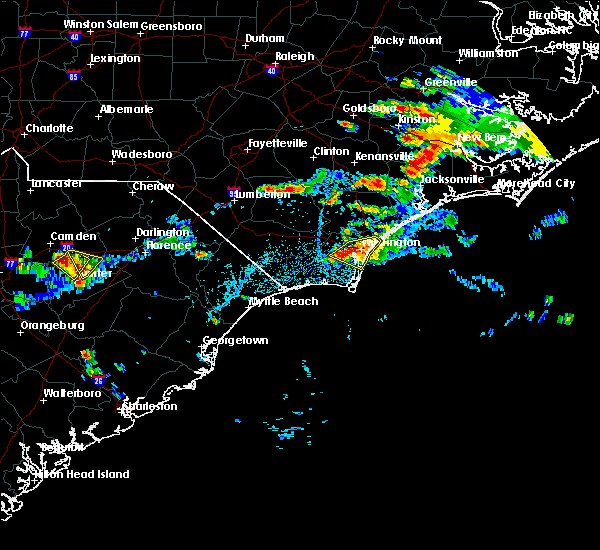 this dangerous storm will be near, university of north carolina at wilmington around 645 am edt. 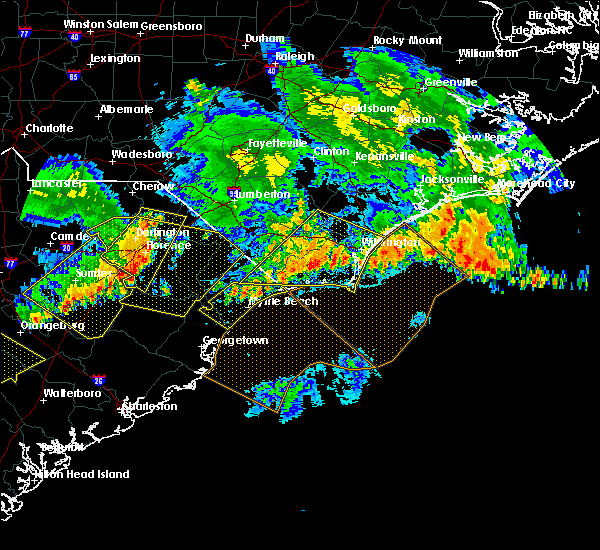 wilmington, wilmington international airport, hightsville, wrightsboro and kings grant around 650 am edt. 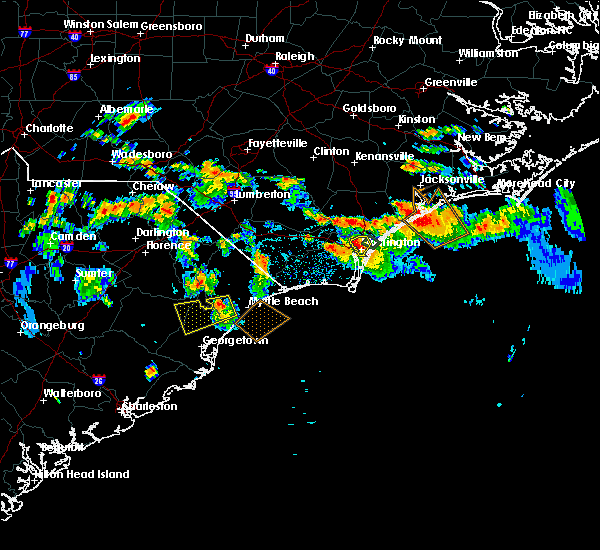 leland and bishop around 655 am edt. Other locations impacted by this tornadic thunderstorm include belville, navassa, cape fear hospital and new hanover regional medical center. 7/19/2016 4:42 PM EDT At 441 pm edt, a severe thunderstorm was located near bishop, or near leland, moving southeast at 15 mph (radar indicated). Hazards include 60 mph wind gusts and nickel size hail. Expect damage to roofs. siding. and trees. 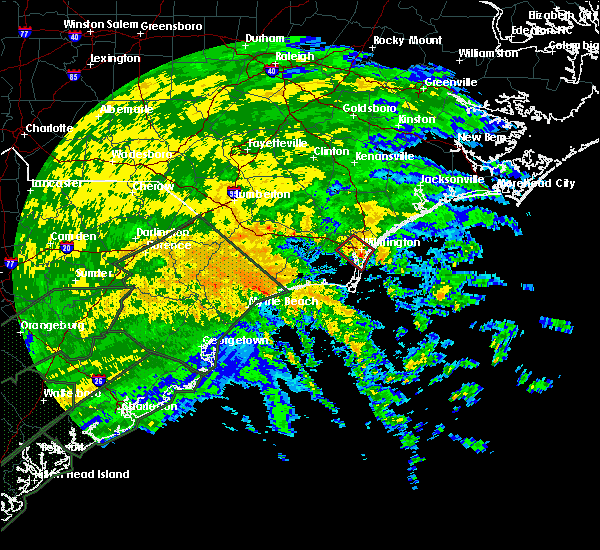 Locations impacted include, wilmington, leland, carolina beach, snows cut, south masonboro island, north masonboro island, bishop, town creek, hightsville, silver lake, seagate, sea breeze, myrtle grove, winnabow, masonboro, wilmington international airport, wrightsboro, belville, navassa and new hanover regional medical center. 7/19/2016 4:23 PM EDT At 423 pm edt, a severe thunderstorm was located over leland, moving east at 10 mph (radar indicated). Hazards include 60 mph wind gusts and nickel size hail. Expect damage to roofs. siding. And trees. 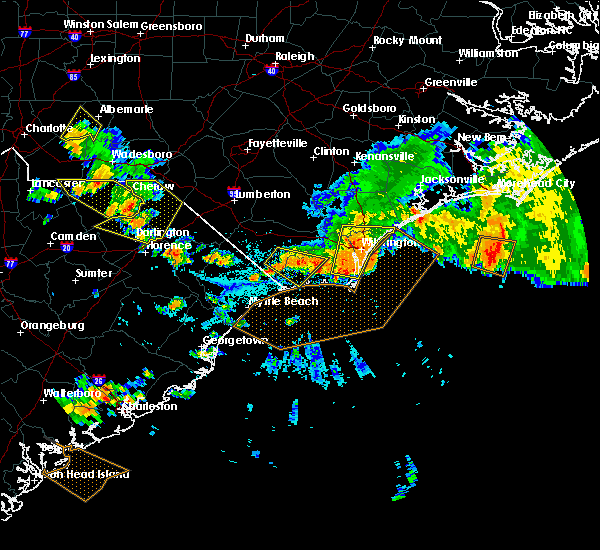 7/9/2016 12:49 AM EDT At 1249 am edt, a severe thunderstorm was located near south masonboro island, moving east at 60 mph (radar indicated). Hazards include 60 mph wind gusts and quarter size hail. Hail damage to vehicles is expected. expect wind damage to roofs, siding, and trees. locations impacted include, wilmington, leland, oak island, carolina beach, shallotte, kure beach, holden beach, caswell beach, bald head island, snows cut, ocean crest pier, south masonboro island, yaupon beach, boiling spring lakes, st. James, southport, supply, bishop, silver lake and phoenix. 7/9/2016 12:36 AM EDT At 1236 am edt, a severe thunderstorm was located near silver lake, or near snows cut, moving east at 60 mph (radar indicated). Hazards include 60 mph wind gusts and quarter size hail. Hail damage to vehicles is expected. expect wind damage to roofs, siding, and trees. Locations impacted include, wilmington, leland, oak island, carolina beach, shallotte, wrightsville beach, kure beach, holden beach, ocean isle beach, caswell beach, bald head island, snows cut, south masonboro island, ocean crest pier, figure eight island, yaupon beach, johnny mercer pier, north masonboro island, iredell and boiling spring lakes. 7/9/2016 12:05 AM EDT At 1204 am edt, a severe thunderstorm was located near lake waccamaw, or 12 miles southeast of whiteville, moving east, southeast at 40 mph (radar indicated). Hazards include 60 mph wind gusts and quarter size hail. Hail damage to vehicles is expected. Expect wind damage to roofs, siding, and trees. 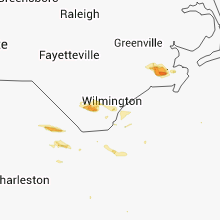 5/12/2016 4:54 PM EDT At 454 pm edt, a severe thunderstorm was located over castle hayne, or 10 miles north of wilmington, moving southeast at 15 mph (radar indicated). Hazards include 60 mph wind gusts and quarter size hail. 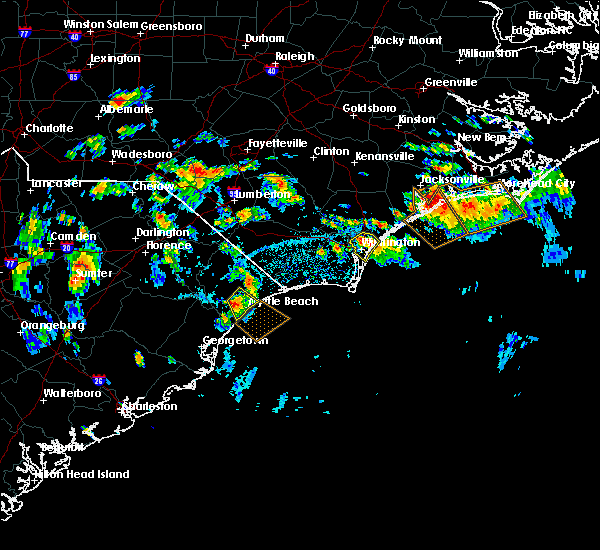 hail was reported between dime and quarter size with these storms. there was also a report of a funnel cloud and rotation in the storm near rocky point. Hail damage to vehicles is expected. expect wind damage to roofs, siding, and trees. Locations impacted include, wilmington, burgaw, wrightsville beach, north masonboro island, figure eight island, hampstead, topsail beach, topsail, wrightsboro, bayshore, montague, ogden, windemere, scotts hill, rocky point, cape fear community college north campus, wilmington international airport, ashton, porters neck and mayfaire. 5/12/2016 4:29 PM EDT At 429 pm edt, a severe thunderstorm was located over long creek, or 9 miles south of burgaw, moving southeast at 15 mph (radar indicated). Hazards include 60 mph wind gusts and quarter size hail. Hail damage to vehicles is expected. Expect wind damage to roofs, siding, and trees. 5/3/2016 7:19 PM EDT At 719 pm edt, a severe thunderstorm was located near silver lake, or near wilmington, moving east at 35 mph (radar indicated). Hazards include 60 mph wind gusts and quarter size hail. Hail damage to vehicles is expected. Expect wind damage to roofs, siding, and trees. 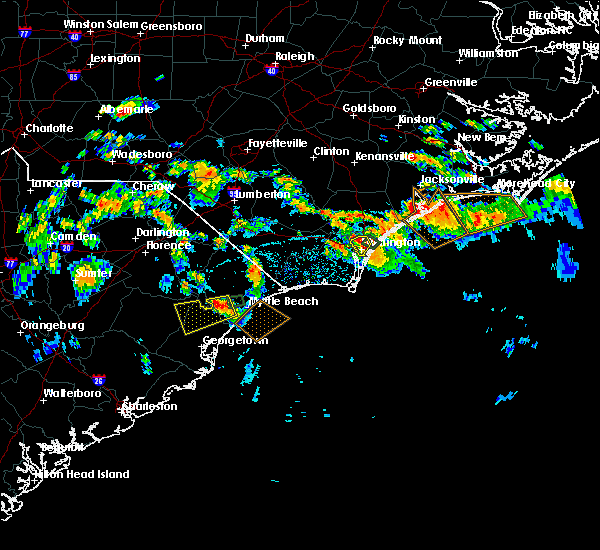 7/23/2015 5:51 PM EDT The severe thunderstorm warning for southeastern pender, new hanover and northeastern brunswick counties will expire at 600 pm edt, the storm which prompted the warning has moved out of the area. therefore the warning will be allowed to expire. 7/23/2015 5:27 PM EDT At 527 pm edt, doppler radar indicated a severe thunderstorm capable of producing quarter size hail and damaging winds in excess of 60 mph. this storm was located over leland, and moving east at 30 mph. 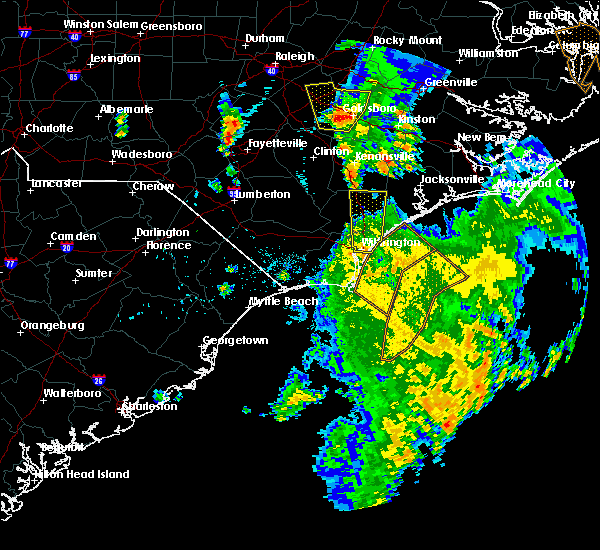 6/27/2015 5:58 PM EDT The tornado warning for northwestern new hanover and northeastern brunswick counties will expire at 600 pm edt, the storm which prompted the warning has weakened below severe limits, and no longer appears to be capable of producing a tornado. therefore the warning will be allowed to expire. weak rotation is still noted with this storm. 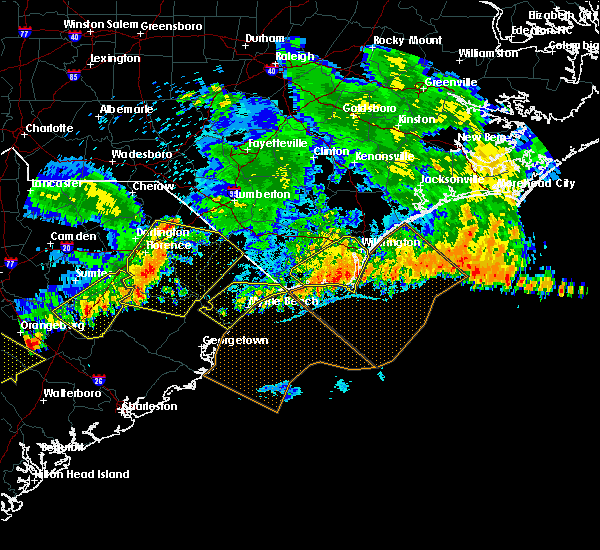 another warning may be needed for northern new hanover and southern pender counties. 6/27/2015 5:29 PM EDT At 529 pm edt, local law enforcement reported a tornado near phoenix, or near leland. doppler radar showed this tornado moving northeast at 10 mph. 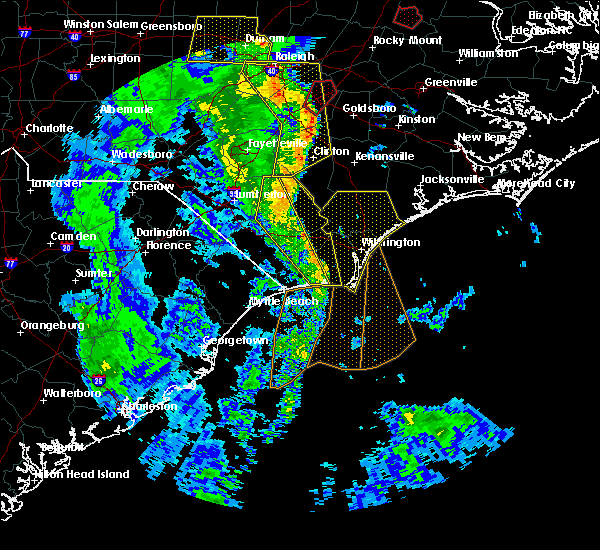 6/18/2015 4:56 PM EDT The severe thunderstorm warning for southeastern pender and northern new hanover counties will expire at 500 pm edt, the storm which prompted the warning has weakened below severe limits, and no longer poses an immediate threat to life or property. therefore the warning will be allowed to expire. however small hail and gusty winds are still possible with this thunderstorm. 6/18/2015 4:49 PM EDT At 449 pm edt, doppler radar indicated a severe thunderstorm capable of producing quarter size hail and damaging winds in excess of 60 mph. this storm was located over rich inlet, moving southeast at 10 mph. locations impacted include, surf city, figure eight island, rich inlet, hampstead, topsail beach, porters neck, topsail, wrightsboro, bayshore, ogden, scotts hill, woodside, cape fear community college north campus, murrayville, edgecomb, castle hayne, wilmington international airport and kings grant. this includes the following highways, interstate 40 between mile markers 414 and 416. interstate 140. 6/18/2015 4:24 PM EDT At 424 pm edt, doppler radar indicated a severe thunderstorm capable of producing quarter size hail and damaging winds in excess of 60 mph. this storm was located over hampstead, or near rich inlet, and moving southeast at 10 mph. 6/18/2015 4:04 PM EDT At 404 pm edt, doppler radar indicated a severe thunderstorm capable of producing quarter size hail and damaging winds in excess of 60 mph. 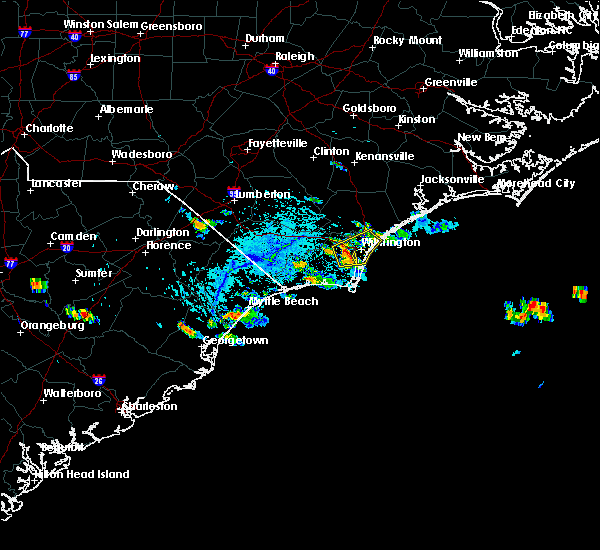 this storm was located over wrightsville beach, and moving east at 10 mph.